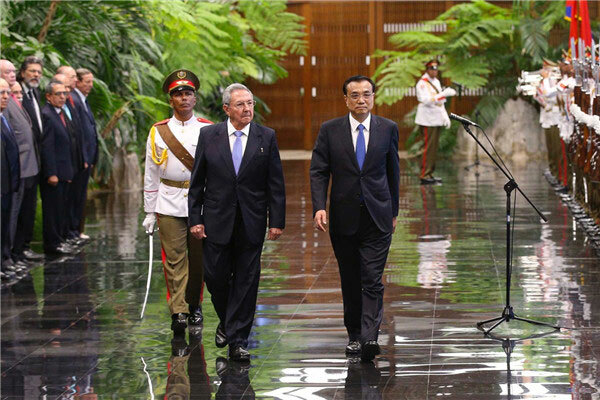 Premier Li said China is ready to support Cuba’s industrialization during a meeting with Cuban President Raul Castro. 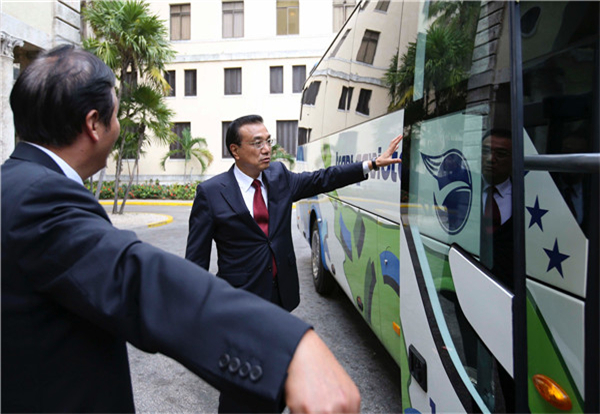 Cubans from all walks of life are paying close attention to Premier Li Keqiang’s visit and highly value the island country’s relations with China. Premier Li Keqiang wrapped up his visit to the United Nations headquarters with a fruitful diplomatic package. China still has a long way to go to reach modernization and needs to pursue development through deepening reform and further opening-up, Premier Li Keqiang said. Premier Li Keqiang said China is willing to open free trade talks with Canada, for an agreement that can benefit both sides. Premier Li Keqiang met with Montreal Mayor Denis Coderre and Quebec Premier Philippe Couillard on Sept 23. Premier Li Keqiang on Sept 23 visited Montreal Canadiens, a renowned Canadian ice hockey team, and dropped the first puck for a training match. From Sept 18 to 28, Premier Li Keqiang will attend the 71st session of the UN General Assembly and pay official visits to Canada and Cuba. Premier Li Keqiang meets Portuguese foreign minister in Portugal’s Terceira Island on his way back to China. Premier Li met with US President Barack Obama on the sidelines of the 71st session of the UN General Assembly on Sept 19. Premier Li Keqiang has met with a group of leading figures in the US economic, think tank and media circles to deliberate on Chinese policies and discuss bilateral ties.